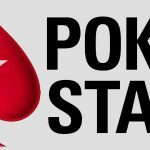 The Winning Poker Network (WPN) is already offering qualifiers to win a seat to this summer’s coveted WSOP Main Event for as little as 28 cents ($0.28). That’s the most prestigious live tournament in all of poker and costs $10,000 to enter. 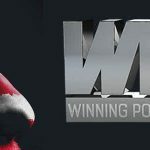 The prize package available at WPN’s top sites of Americas Cardroom and Black Chip Poker is $12,500 and includes the tournament entry fee and $2,500 for travel and lodging. The WSOP Main Event begins on July 3, more than 4 and 1/2 months away, giving WPN players plenty of time to satellite into the WSOP 2019 Main event for much, much less than the $10K buy-in. The entire 2019 WSOP, featuring dozens of bracelet events, is scheduled to run from May 28 to July 16, 2019. There are eight different steps to conquer on the way to winning a $12,500 WSOP Main Event prize package. But that’s only if you start at the bottom (Step 0) for the paltry buy-in of 28 cents. Players are free to jump in at any step of their choice, paying a little more in entry fees as the steps increase. Winning a step tournament allows you to advance along to the next step, with the goal being to progress all the way to Step 7. The final step will be played on June 9 at 4:00 .pm. ET where 15 guaranteed $12,500 WSOP Main Event prize packages will be won. The winners of that tournament will be on their way to Las Vegas the following month, living the dream of every poker player. A payday worth millions of dollars is up for grabs for the top final tablists of the WSOP Main Event, as well as the fame and glory that goes along with it. We all know the story of Chris Moneymaker, the formerly unknown accountant from Tennessee who won a WSOP Main Event seat via an online satellite in 2003 and went on to win the tournament and $2.5 million in prize money. Well, here we are 16 years later and the top prize of the 2019 WSOP Main Event will likely be worth almost four times as much! Last year’s champion, John Cynn, took home $8,800,000. In fact, the winners of the last three WSOP Main Events each won at least $8 million. The icing on the cake of the 2019 WSOP is that this year marks the 50th annual running of the festival. That’s a huge milestone and one that will be celebrated for years to come. Who wouldn’t want to win the Main Event gold bracelet commemorating 50 years of exciting WSOP action? To find the Step tournaments in the lobby, download and launch the poker client of either Black Chip Poker or Americas Cardroom. Click the “Tourney” tab followed by the “Steps” tab. Once again, you can start at whatever step or buy-in suits your bankroll and budget. 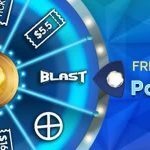 If you want to boost your bankroll and have yet to register at either ACR or BCP, a 100% up to $1,000 first time deposit awaits you. Who knows, the next Chris Moneymaker might be among the players who win a seat to the 2019 WSOP Main Event via the WPN qualifiers. At least 15 seats are guaranteed and isn’t it worth a shot for just 28 cents?